Saturday, March 9 and Sunday, March 10, 2019 from 1 to 5 p.m. Registration: Thursday, March 7 from 3 to 8 p.m. 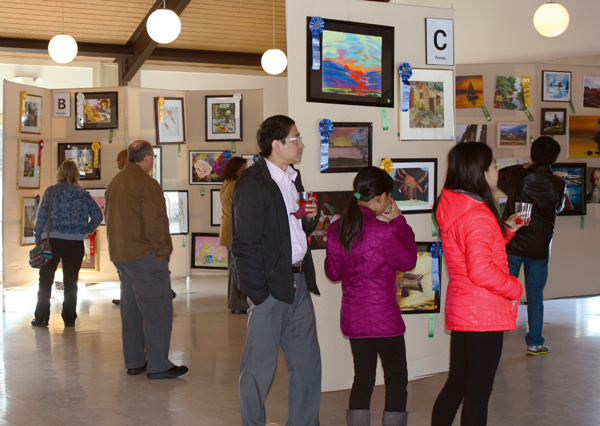 Village artists are encouraged to display their artwork for the community to enjoy at the 45th Annual Art, Craft and Photography Show at North Creek Community Center (NCCC). Artists must bring and register their entries at NCCC on Thursday, March 7 between 3 and 8 p.m. The cost is $3/entry, with a limit of four entries per artist. Entries will only be accepted on Thursday, March 7, may not exceed 28-inches in any direction and must be mounted and ready to hang with appropriate hardware prior to registration, wire is preferred. Entries fashioned with tape, string, yarn or fishing line will not be accepted. No exceptions will be granted. Age divisions: 7 and under (for exhibit only), 8 to 12; 13 to 17; 18 to 25; over 25; and Professional for those artists who instruct others or sell their works. Each division will be judged in the following categories: a) oil/acrylic; b) watercolors; c) pastels; d) crafts/textiles; e) drawing/printing/graphics; f) digital art; g) photography/black and white; h) photography/color; i) pottery/sculpture; j) mixed media/miscellaneous. An Artists’ Reception will be held from 4 to 5 p.m. on Sunday, March 10. Direct questions to Kendall Thomas at 240-243-2338 or e-mail kthomas@mvf.org.